Skunks like to dig up vegetables so that they can get the grubs. If you want to keep the skunks away from your garden, it is good to understand your enemy. The skunks do not climb, but they are good when it comes to digging. The skunk is a mammal and it has an appetite for plant materials. Their feeding habits can change according to the season. They have been known to eat bird eggs, snakes, frogs, moles, birds, rats and earthworms. They can also enjoy different types of leaves, fungi, grass and roots. It is good to understand how to discourage the skunks so that they do not eat plants in the garden or damage your property. You can discourage the skunks in the garden when you eliminate access to the food source. The right approach may be to use a fence around the garden and to put a cage around the plants or use netting to protect them. Choose the types of plants which may repel the skunks. You can plant squash on the perimeter of the garden. Skunks may like squash, but they do not like to walk on squash leaves so that they may get into the garden. The leaves have tiny hairs and can irritate the feet and skin of skunks. You may use stinging nettle plants around the outside of the garden so that you may discourage skunks. The leaves have pointy and sharp hairs that may break off easily, and they may produce liquid if they are disturbed. They also will create a stinging and burning sensation. Use mothballs around the plants or put them in the garden so that you can repel skunks. Skunks have a good sense when it comes to their smell and the mothballs may keep the skunks away from the garden. Make sure that the plants are treated to repel insects; one reason why skunks may be found in a garden is because of the insect population, worms and bugs. When you keep the bugs under control, you will be discouraging the skunks. 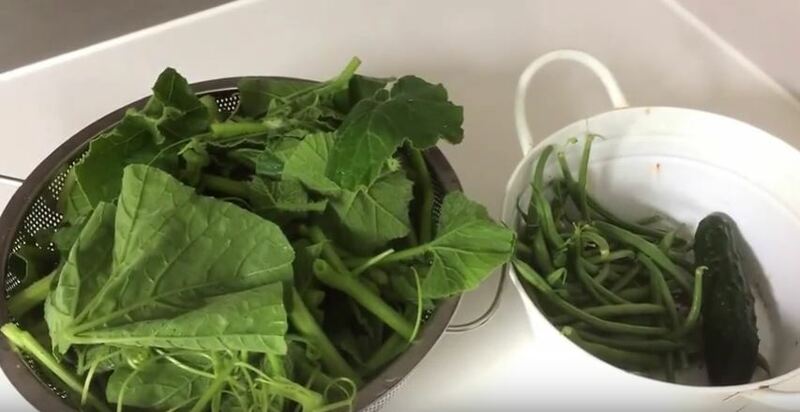 Get rid of spoiled vegetables and fruits quickly. The rotten foods are the ones that harbor insects. You also may set traps to get rid of skunks. You should use traps that can catch animals live and then relocate them to a place which is far from your home.